It’s just gone a long weekend here in Australia, and I spent most of the break rafting down the Shoalhaven River. That, of course, meant a wine free weekend, with a dash of port (brought in a small Coke PET bottle. Every gram counts when packrafting in the middle of nowhere) the only alcoholic drink of note. Intended to be a classic McLaren Vale Shiraz, this is dark purple/maroon coloured and Vale to the core. 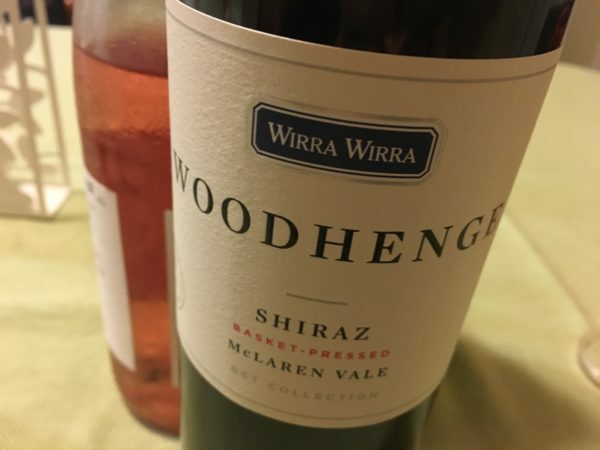 It smells of fig, fudge and both cooked and fresh plums, with the open-knit, mid weight palate drenched in purple fruit with vanilla oak sweetened edges and lovely fine tannins. There’s a real composure here shows all that is good about riper styled McLaren Vale Shiraz without going too far. It’s not profound but gosh this packs plenty of genuine regional Shiraz flavour. Best drinking: 2016-2030. 17.7/20, 92/100. 14.5%, $35. Would I buy it? I’d definitely go a few glasses.